Pittsburg, Kan., Police Chief Mendy Hulvey, left, and acting Sgt. Chris Moore prepare hamburger buns to receive freshly grilled burgers during the Badges & Burgers annual fall fundraiser event for the United Way on Wednesday afternoon, Oct. 17, 2012. 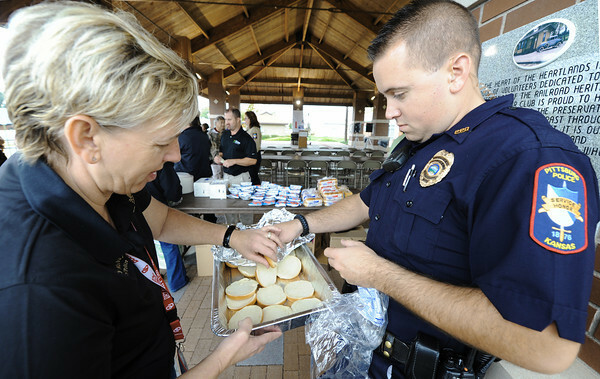 Both the Pittsburg Fire and Police departments were involved in preparing and serving the food and beverages.